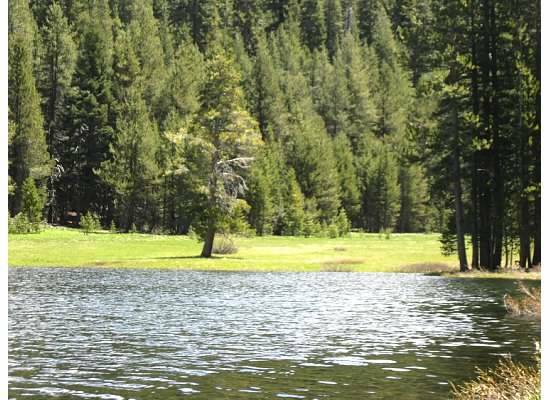 Lukens Lake, located in the high country of Yosemite National Park, is a nine acre lake surrounded by forests and a meadow. Andrew, his friend Eric, and I ventured there on this cold and windy day. We chose the shorter trail from Tioga Road as our route. 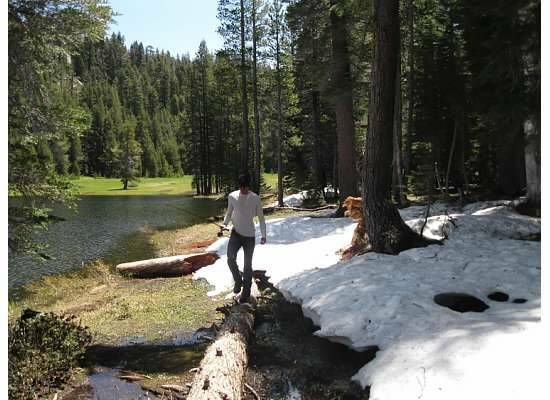 In July 2010, Andrew and I walked the longer route from White Wolf Lodge. This time of year the lodge is closed. Eric and Andrew on Tioga Road. We made our way uphill, breathless from the elevation. 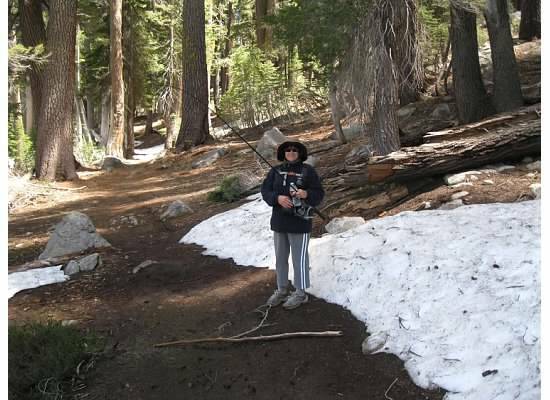 At 8,200 feet, the soft trail still had snow in spots. We walked through the dark forest and over a couple of small streams. 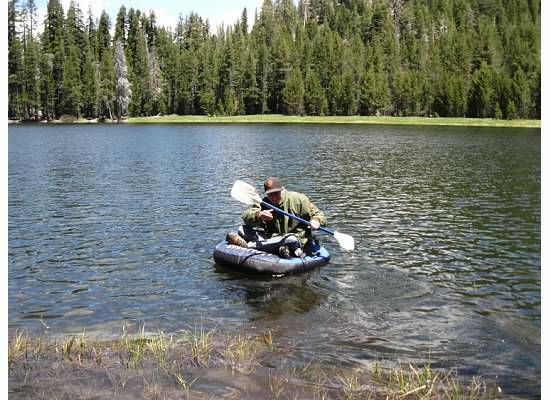 The White Wolf route would have taken us over a section of the Middle Tuolumne River. It would have brought us to the sunnier and drier side of the lake. At the trailhead. Andrew is carrying a backpack filled with a float tube. Following Andrew’s lead, we walked through the very wet meadow stepping carefully on the spongy grass trying to avoid crushing the tiny marsh marigolds along the way. Poisonous corn lilies were just beginning to sprout. After we had traversed the meadow, I learned that that side of the lake was closed. The trail used to run through there but the deepening path was affecting drainage and harming plants. The trail was diverted through the forest. 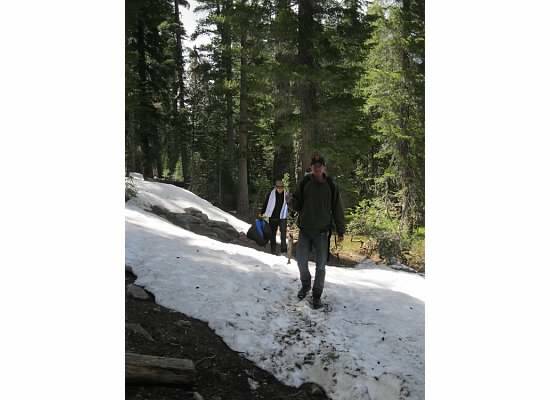 With large mounds of snow in the shadier areas, it was hard find the trail. Avoiding the meadow on the way out. Andrew and Eric set up their gear near a snow bank at the water’s edge. A pair of ducks swam across the pond as the boys cast their lines. 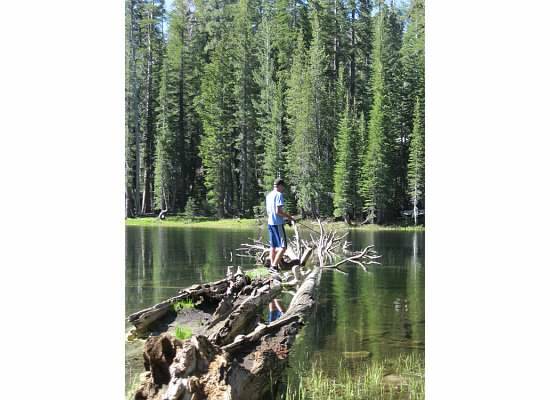 In 2010 Andrew caught and released a large rainbow trout at this spot and was hoping to catch another. Eric fishing from the shore. I sat on a log and watched a deer graze in the meadow and heard a trickle of melting snow making its way into the lake. 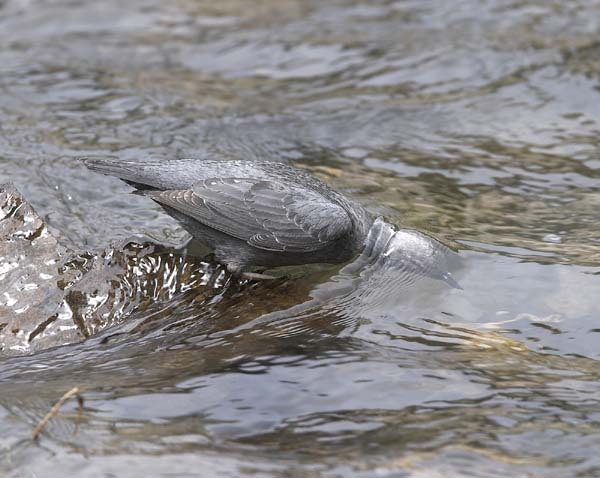 John Muir’s favorite bird, the American dipper, plunged its head into the frigid water in search of food (no photo of my own). 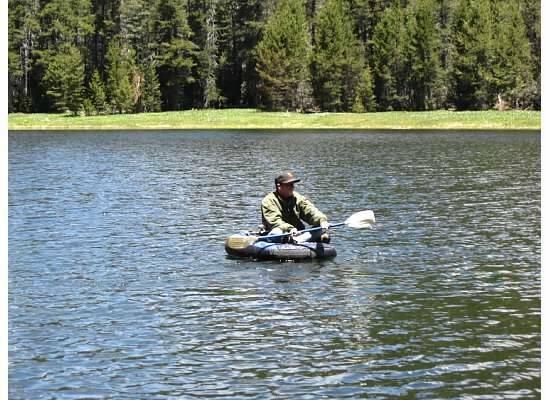 The boys were having no luck at the shore, not even a bite, so Andrew inflated the Caddis float tube. 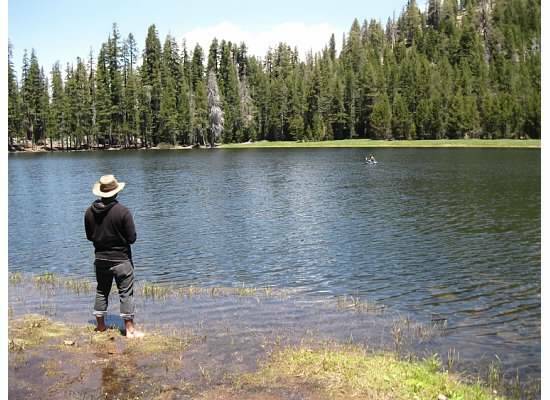 Braving the cold water, he set out for the middle of the lake with a paddle in one hand and a pole in the other. Just setting out and feeling the cold water creep up his backside. 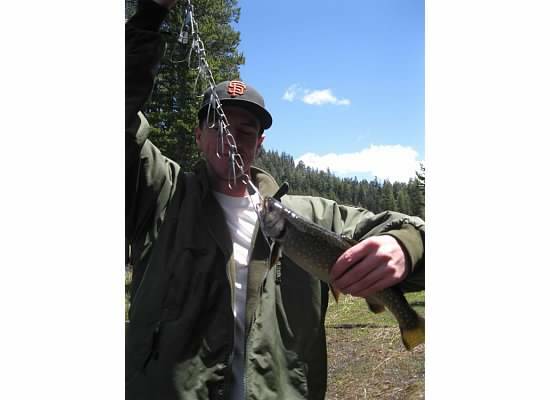 Within minutes of casting, he had a rainbow trout on the line. Dinner! The wind blew, keeping the mosquitoes away and chilling us to the bone. I walked around the lake to warm up, jumping over its creek-like outlet. The path through the woods was wet. Trees were bent and broken littering the forest floor. Andrew fishing on the sunny side. July 2010. On the other side, sheltered from the wind and sitting in the glow of the sun, I watched as Andrew and Eric changed places in the Caddis. Eric paddled out. As soon as he cast his line into the lake, he caught a fish. With one arm he rowed back to shore and as he reached the edge, the fish came off the hook and swam away. “Oh no!” could be heard echoing around Lukens Lake. 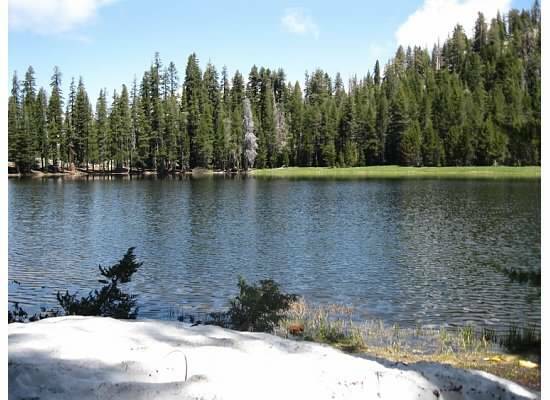 On the drive home, we stopped and looked at Tamarack Flat campground located three miles off Tioga Road. The boys planned a two-night trip there beginning the following day. 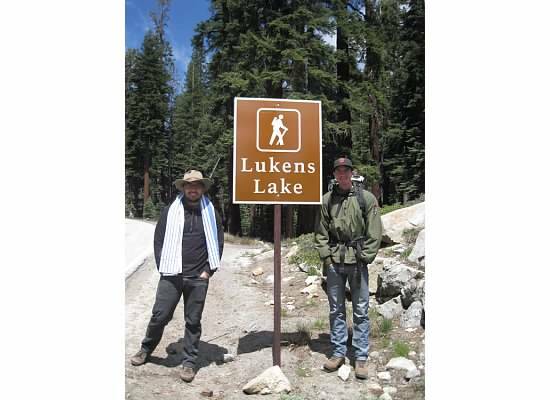 This entry was posted in Yosemite Hikes and tagged Fishing, Hiking, Lukens Lake, Rainbow Trout, Trout fishing, Yosemite on May 30, 2013 by Janet. Another GREAT day in paradise. Great blog. Great pictures. Thank you. Once in your lifetime you should visit, Sheryl. Thanks, Bill. I’m looking forward to your post and photos of Young Lakes! I’ve never been there. We’re backpacking next week at Glen Aulin to Waterwheel Falls. I think we’ll be okay in terms of snow. But standing barefoot in snow-melt water? He said it was cold but he got used to it. He was trying to let his socks and shoes dry in the sun. He stayed barefoot the whole day. As usual, beautiful photography and a good tale! Thank you, Carol. I’ve been thinking of you these past couple of days. Hope all is well. Very beautiful, Janet. And to think you have snow in California…when ours seems to be *finally* gone. Have never seen corn lilies. 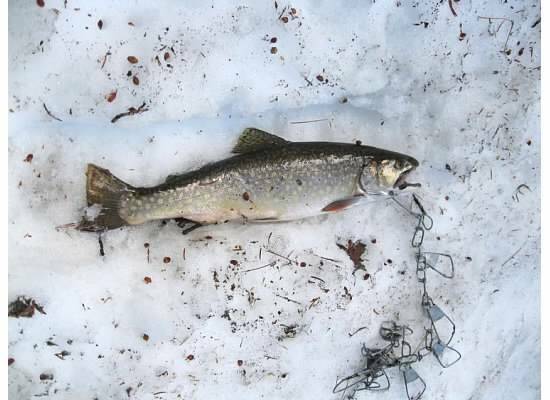 Love that a rainbow trout was caught and nature provided a cooler. Thank you, Kathy. Our snow comes with the elevation. Up high there is still a bit left. 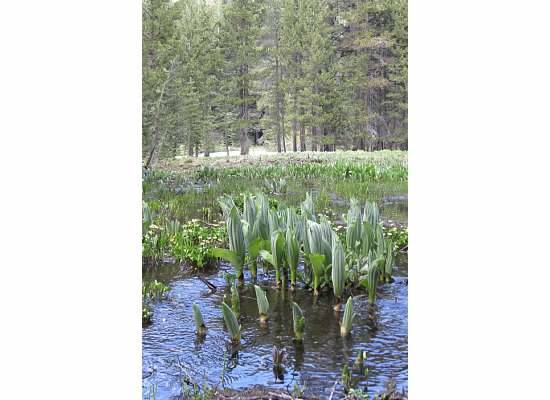 The corn lilies bloom later in the year. I’ll have a photo of them blooming in another post. Dan, I think if you click on a photo, it should enlarge. Looking forward to seeing your photos and reading about your trip in July. 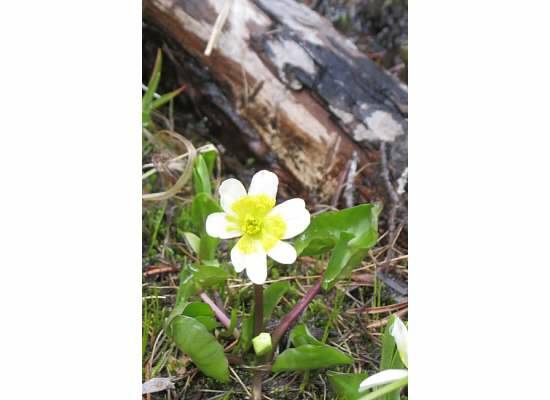 The wildflowers should be out in full in the high country in July. I’ve been so busy I forgot about my favorite thing to do. Yesterday I was packing up my backpacking gear and remembered. Now I read your beautiful post and I can’t wait to get done with this project and hit the trail. Thanks for the reminder.